On 25 July 1909, Louis Blériot became the first person to cross the English Channel in a airplane. Fred Marsh, from the Royal Aero Club, explains the importance and the impact of Blériot's historic achievement. 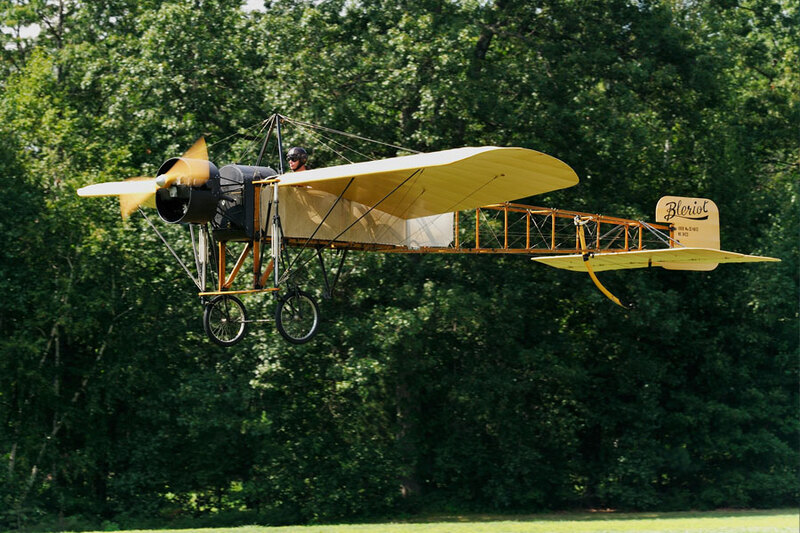 The Blériot Type Xl was the most famous and successful of several classic airplanes that emerged during the miraculous summer of 1909, when all of Europe seemed to be taking to the sky. Louis Blériot, a French engineer and manufacturer of automobile head lamps, had first become interested in aeronautics in 1901-2, when he constructed an experimental ornithopter. During the next eight years he moved through a series of ten distinct aircraft designs, only one of which was capable of making a flight of more than ten minutes. His next effort, the Type Xl, primarily designed by engineer Raymond Saulnier, was first flown at Issy-les-Moulineaux on January 23, 1909. During this time, Lord Alfred Northcliffe, owner of the Daily Mail Newspaper in London England, ovffered a prize of 1,000 English Pounds to the first person who would fly across the English Channel. Bleriot achieved immortality on July 25, 1909, when he became the first person ever to fly across the channel, covering the 40 kilometers (32 miles) between Calais Fance and Dover England in 36 minutes, 30 seconds. In the wake of the Channel flight, Blériot received the first of many orders for the Type Xl monoplane. 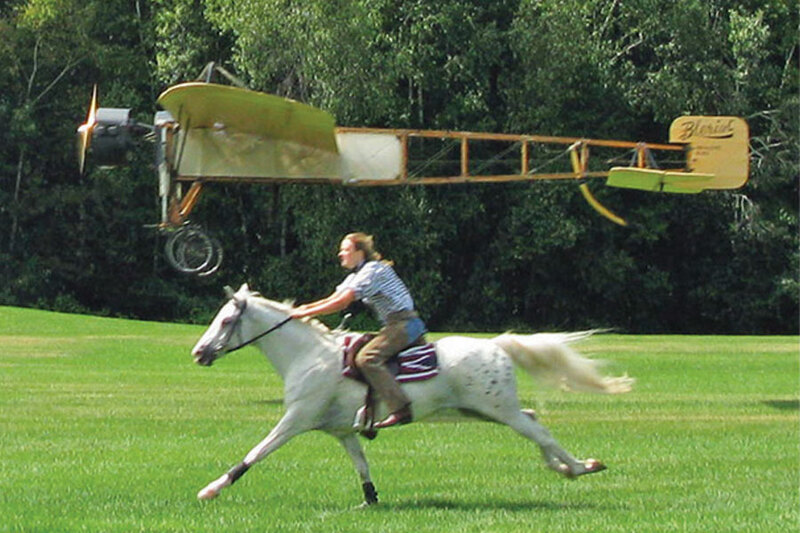 Variants of the original 1909 machine, produced by the Blériot firm, foreign licensees, and enthusiastic amateur builders in Europe and America, were a dominant force in aeronautics before World War I. 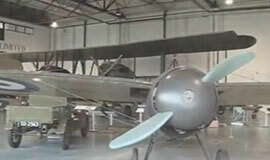 Our Bleriot Type XI was produced later on and flew on the West Coast. It was restored in the early 1980’s with an 80 hp Continental engine in place of the rare Anzani engine. 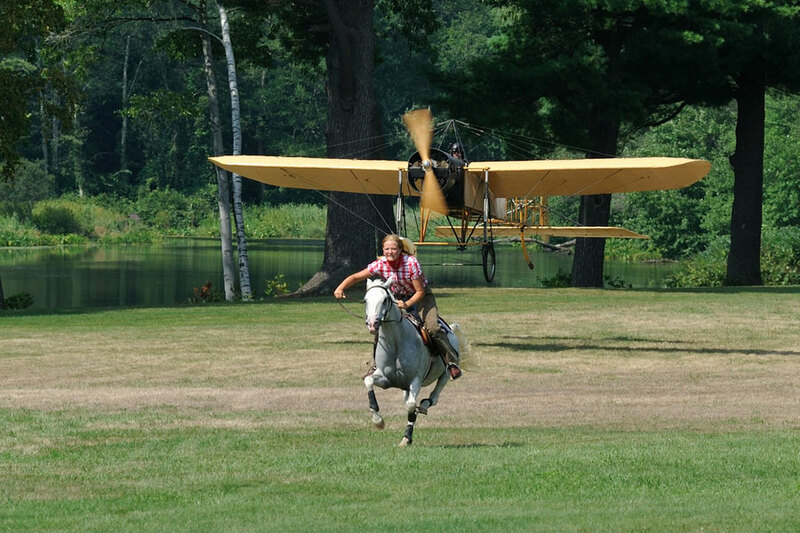 The Bleriot enjoys only brief hops through the year as its speed and range prevent it from venturing far from its home base.